Your carpet is a big investment, but normal wear & tear can quickly leave it looking dull and dingy. When you decide to hire a professional carpet cleaner, how do you avoid companies who do more harm than good? When you call Mighty Clean Carpet Care, you don’t just get some guy with cleaning equipment. Our courteous and professional carpet cleaning technicians go through extensive training to learn the chemistry behind the solutions they use. Technicians are certified by the I.I.C.R.C. and trained to ensure they know the most effective ways to remove soils, tough stains, and protect your carpets to ensure they last for years to come. 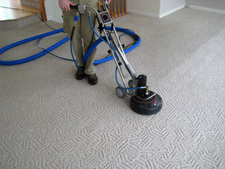 Our carpet cleaning process utilizes the Hot Water Extraction method recommended by the major carpet manufacturers including Shaw Industries. Just as the best method for cleaning cloths requires hot water, detergent, and agitation, so does cleaning your carpets. We guarantee your satisfaction the first time every time. If you’re not totally satisfied with the results following your cleaning, we’ll return to clean any areas of concern at no cost to you. If for whatever reason your still not totally satisfied we’ll refund your money no questions asked. South Riding is an unincorporated planned community in Chantilly, Virginia of southeastern Loudoun County, known as the “Dulles South” Region. Its current population is around 15,000 people with about 6,000 homes and is still growing as the community has not been completed yet. Neighboring U.S. Route 50 and State Route 28 provide access to the Dulles/Reston/Tysons Corner technology corridor and other major employment centers in Northern Virginia and Washington, D.C. South Riding opened June of 1995. 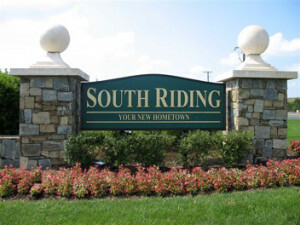 South Riding has three elementary schools, a high school, a middle school, a public safety center, and day care centers. It has regional shopping centers and office buildings, and will soon have a hotel. 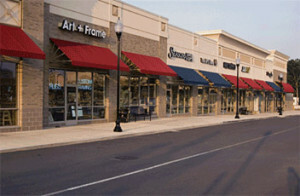 There are three shopping centers with Home Depot, Giant, Bloom, Harris Teeter and various restaurants and coffee bars.